Anyways, here is my newest addition to my coiling collection. 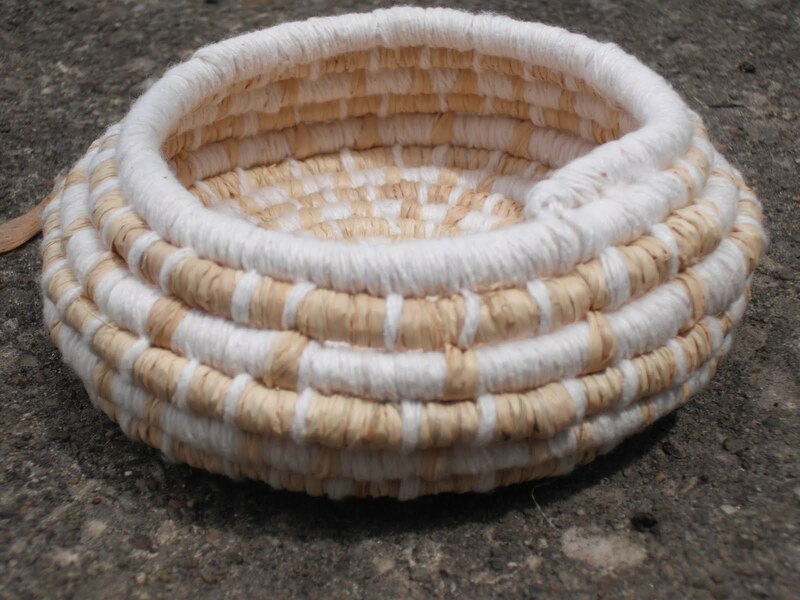 This basket is made completely out of wool. 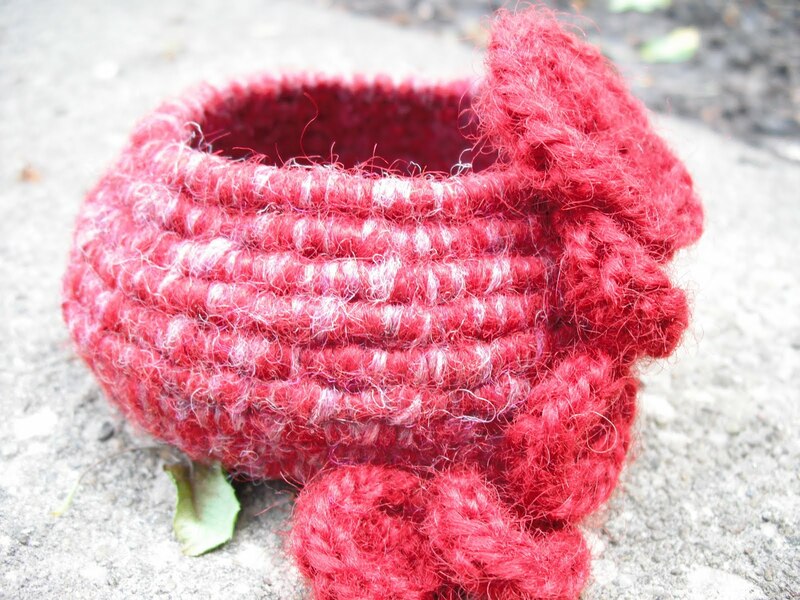 The core yarn, the wrapping yarn, and the adornment are all 100% wool. I actually debated fulling it afterwards but didn't want to lose some of the texture. 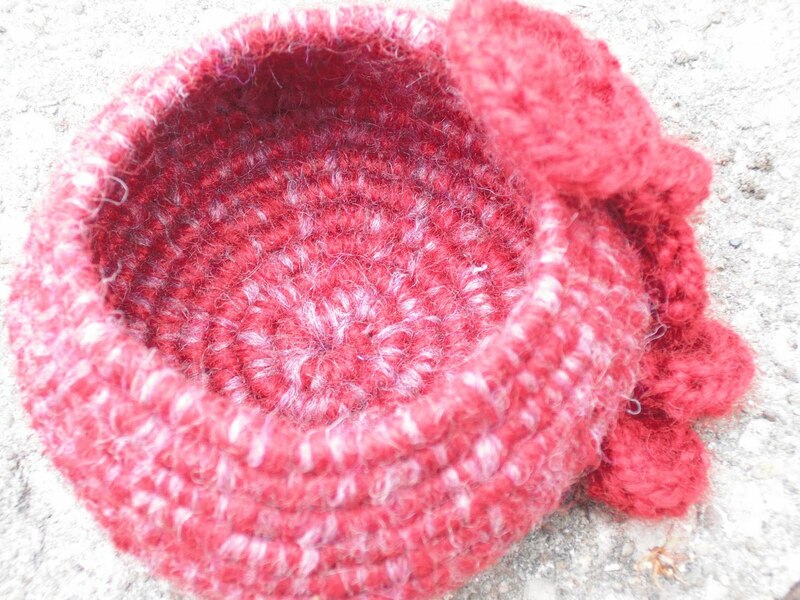 I used two different yarns in red and purple at the same time to wrap the basket. When I was done I felt like it was missing something so I created a crochet concoction (read as, I just made it up on the fly) of joined circles. 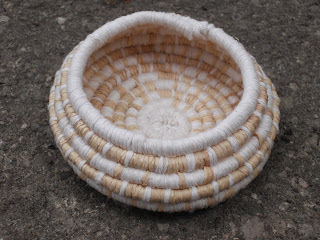 I then sewed it on to cascade down the side of the basket. I think it turned out pretty. 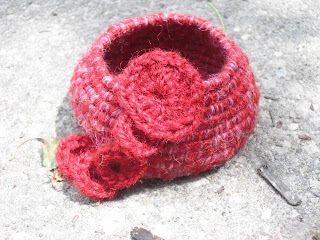 Here is another of my more recent finished projects that I just had the time to photograph. This basket is made out of a cotton clothesline core and wrapped with raffia and cotton warp thread. I switched yarns every row creating the striped pattern. I am not entirely happy with the way it finished and how it looks jagged but I guess that's a result of using a very thick yarn for the core. 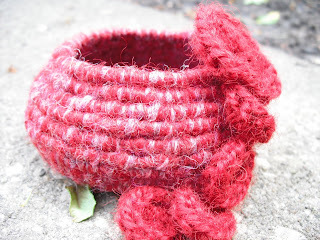 A smaller yarn seems easier and less noticeable to taper off. I also managed to finish sewing the beads onto that aqua circle scarf, take photographs of some new purses to list on etsy and do some woodworking that you'll see in the next post. I am a craft warrior!